I have yet to meet a curly girl who doesn't have a haircut horror story in which a stylist cut their hair too short. 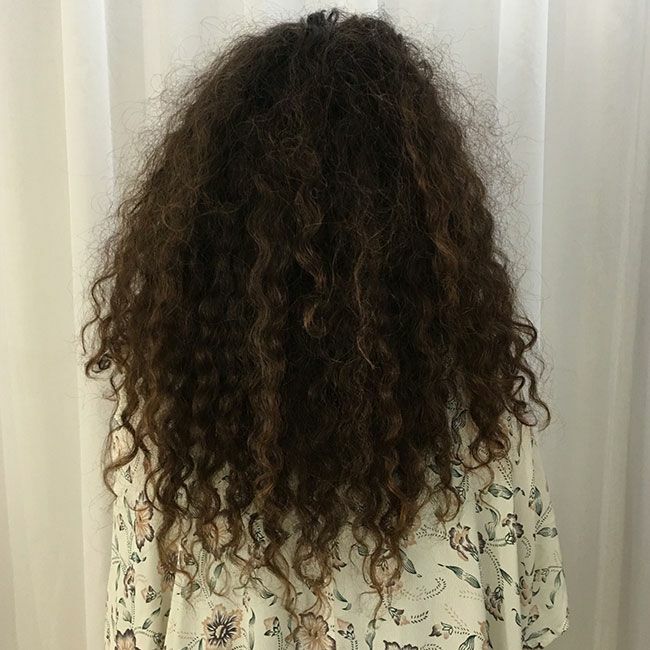 Whether it's because they failed to take our natural shrinkage into account, or they simply didn't listen to our requests to cut just one inch (and instead cut 6), many curly girls have been burned one too many times and now boycott the salon. Why do you need a haircut? Avoiding the salon when you've been disappointed before is understandable, but it can also lead to hair that is pyramid shaped, has damage on the ends, and stops cooperating no matter what products we use. 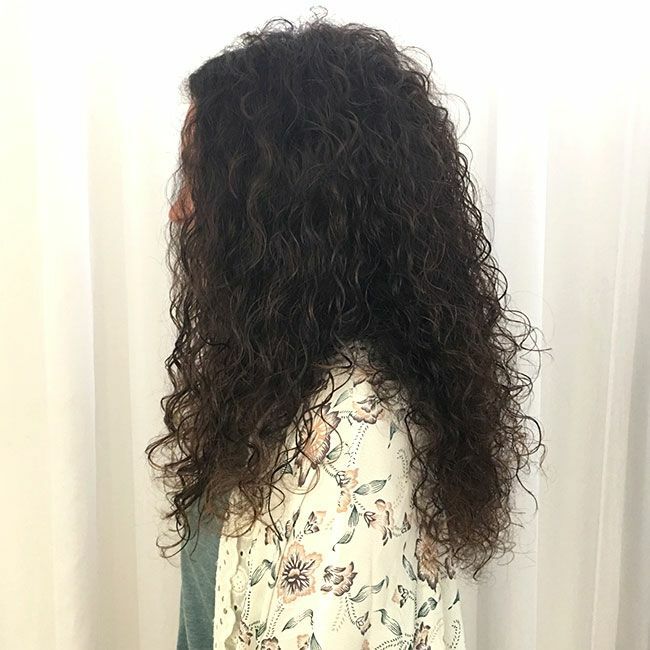 I have definitely gone years without visiting a salon before in an effort to save my length, but in the process I was left with long, damaged hair that stopped clumping into defined curls. I've since discovered stylists who know how to cut my curls and embraced the game-changing effect a haircut can have. There are many curl stylists now, and each has a their own techniques and cuts that they pull from depending on your goals and personal style. One stylist may use a dry cut for one client and a wet cut for another. 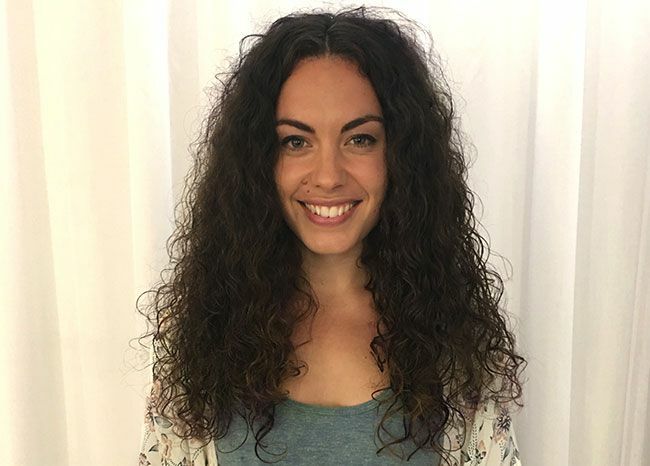 I recently spoke with stylist Amanda Troisi, aka MyCurlsNY, at Julien Farel Salon about how she works with clients who want to keep their length, and this is what she shared. My client wanted to achieve more height and movement, without creating choppy looking layers and jeopardizing the length. She also wanted to get rid of any dead ends and discover an overall shape for her thick curly hair, which did not have one. She asked for a curly cut that was low maintenance and modern. One of my haircuts that I do is called the bonsai cut. I brush the curls out into its full form using a silicone brush that combs through the curls with ease and does not rip at the hair. This cut helps see the shape of the hair (the perfect shape is circular, not boxy). I then trim it just as you think - like a bonsai tree! 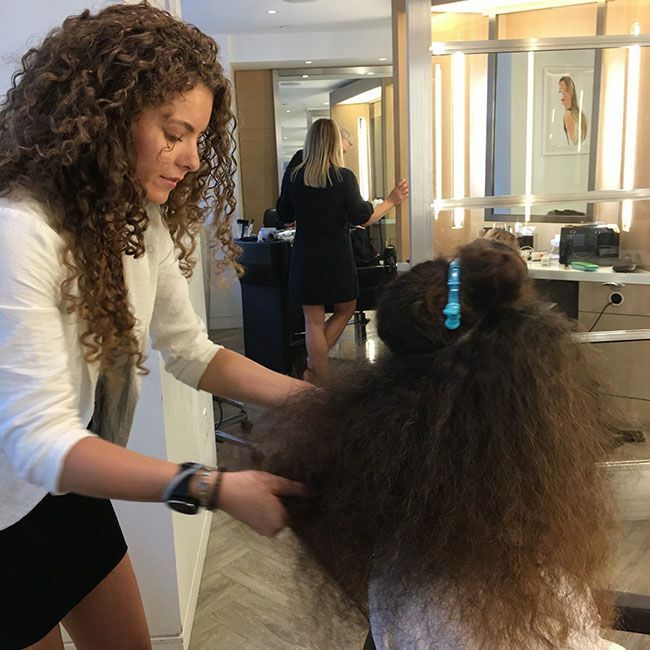 Why do you brush out the curls first? How do you make sure not to damage the hair when brushing? Brushing the curls is a huge part of the cut. I use a silicon brush that detangles the curls gently and with ease! This brush is by a company called Janeke and is made in Italy. I brush the curls to see where the hair sits when it's reaching for moisture, this gives me the opportunity to find the curls that reach out of place. It's like sculpting the curls. When the hair is brushed out you can see strands of broken dead curls laying in mangled positions which need to be trimmed. Plus when curly hair is wet it alters your perception of how much to cut. By brushing the curls you will not jeopardize the shape. It's like sculpting the curls. What was causing the boxy shape of the cut before, and what did you do to create a rounder, more flattering shape? The boxy shape is due to the over growth of curly hair and its broken pieces that create an unbalanced hair shape. 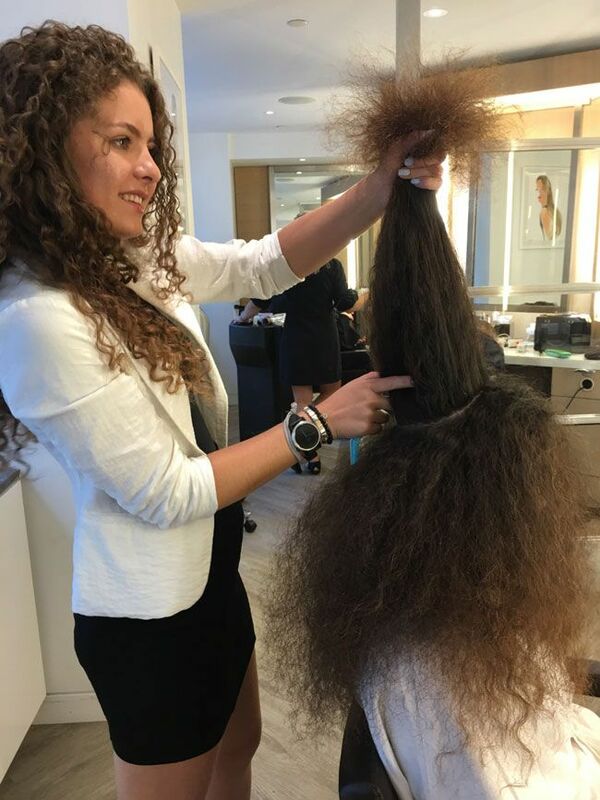 When you have an unbalanced, out of shape curly hair style and you brush out the curls for a bonsai cut, you see a heavy ledge that lays on top of the length of hair. I wanted to cut that edge with the dry bonsai technique haircut in order to create a roundness and softness which curls require and desire. What was the outcome of this cut? 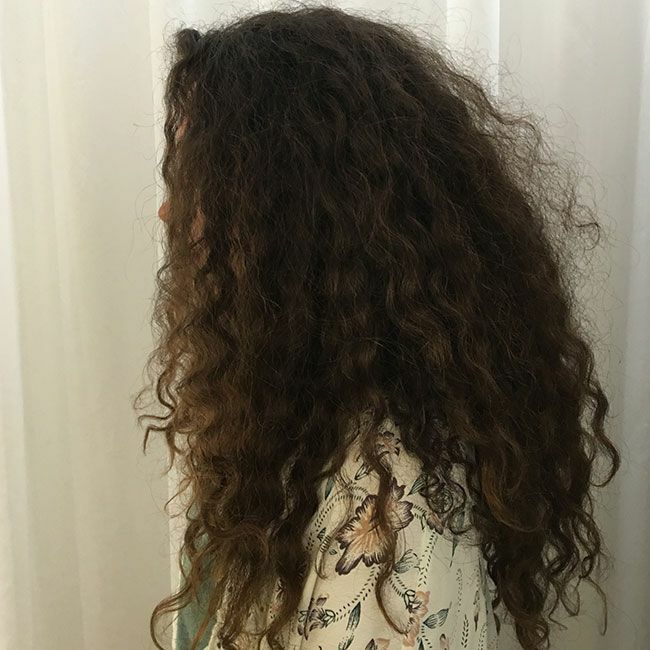 Once I cut the hair using my dry bonsai haircut technique and taught my client a few twist tricks, she was so happy with how lightweight her hair felt and without losing density. She felt like the cut gave her hair appropriate height which she said highlighted her facial features. Her final words were "this is the only way I'll cut my curls now!" 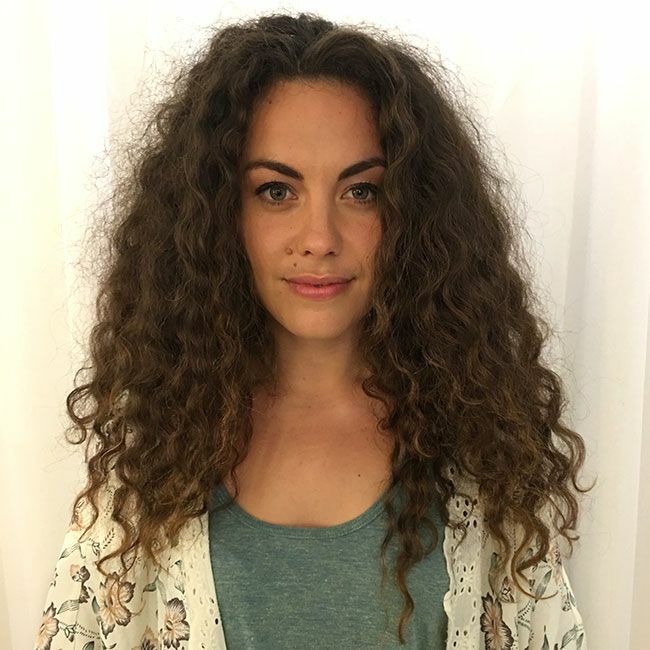 You can follow stylist Amanda on Instagram at @MyCurlsNY, and her client is dancer @Rosiepbell. If you love seeing before and after photos as much as I do, check out these 15 Curly Hair Transformations You Have to See to Believe. To see more cuts by curly hair specialists, check out the 18 Best Haircuts for Curly Hair.